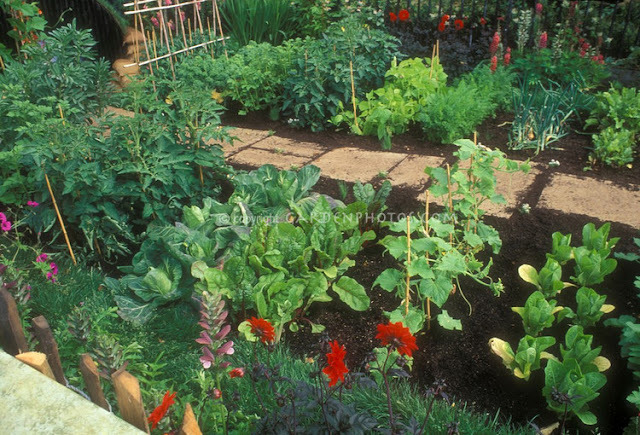 I think the perfect first vegetable garden is a herb garden with some salad greens and a few tomato plants. 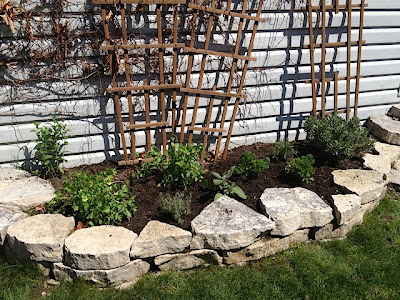 I've already shown you how to start with a herb garden. 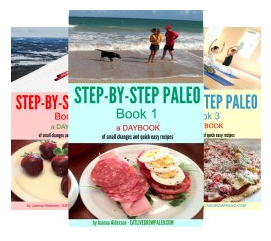 Now here is how to move on to the next step. If you prefer to keep your herbs and vegetables separate, you can grow them in different beds, but when space is at a premium, everything can grow very well together as you will soon see. Once you plant the tomatoes you can then scatter some mixed green seeds to create a mulch for your growing plants. As the tomatoes grow and the days get hotter, they will shade your salad greens so they will last longer without bolting. 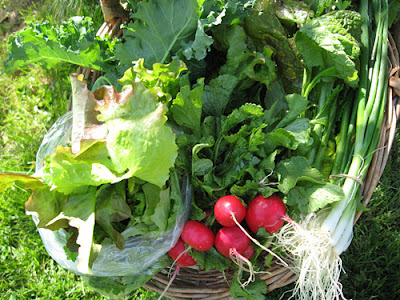 You can also mix in a few radish seeds with your lettuce mix. 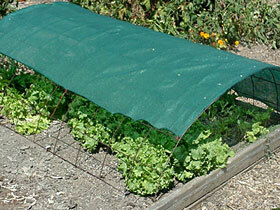 Once the radishes start to grow you can pull them, creating more room for the lettuce to expand. The same principle would work with planting a few baby onions as well. In a few weeks time you will have green onions that you can pick for your salads along with the radishes. And this is the perfect first garden for anyone, whether you have an actual garden plot or grow your garden in pots on your balcony or patio. 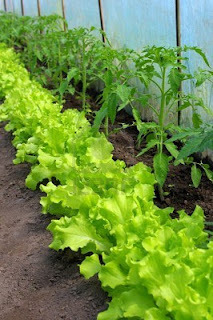 I have already written a post on how to grow tomatoes so today I will cover salad greens. 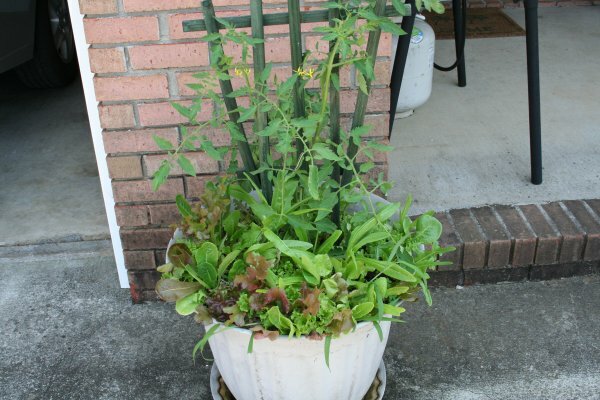 When you want to grow a salad garden you have several options. 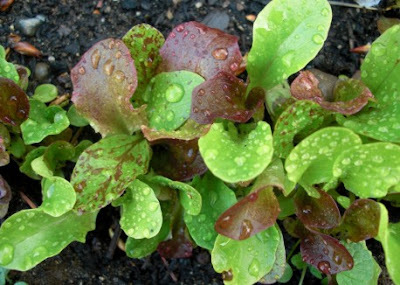 You can buy starter plants at your local garden centre of all the most common lettuce varieties such as Romaine, butterball, and leaf lettuce - both green and red. 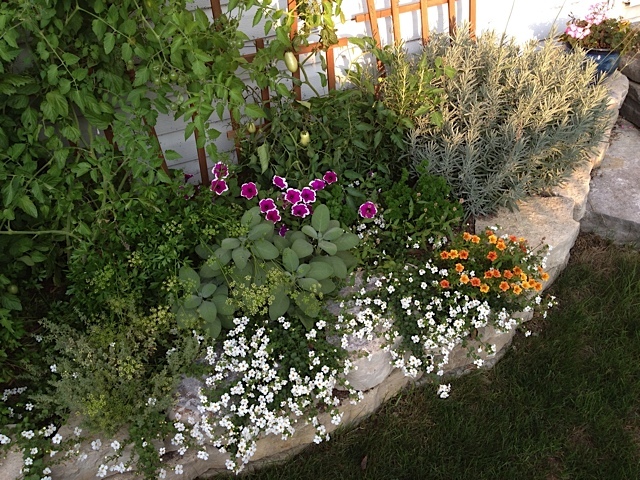 Any of these will produce most of the year for you until it gets really hot. 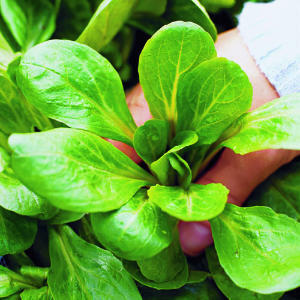 You can just take off the outer leaves as you need them and the plants will continue to grow more for your next salads. 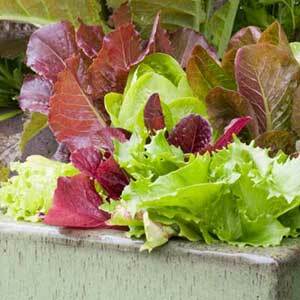 You can also buy seed mixes of baby greens which grow very quickly and give you a good variety for your salad bowl. Again, you can keep picking leaves as you need them and more will keep growing as long as you don't pick the whole plant. 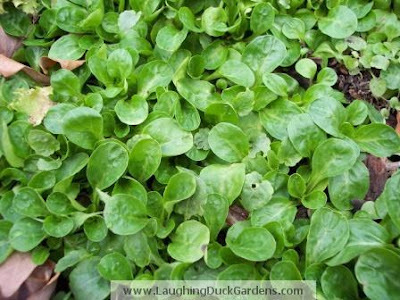 Salad greens are very easy to grow. Other than regular watering the only other thing to worry about is to make sure they don't get too much heat because then they will bolt. This makes them bitter and even though you can still eat them, they don't taste very good at this point so protecting them as much as possible is worth doing. In most garden centres you can buy shade cloth. This comes in different colours and is like a large version of dark cheesecloth that you can either put over a dome as I showed in my post on garden structures, or just lay on top of your plants and secure with a few stones at the edges. Either way this will help lengthen your season, though when the sun gets really hot there isn't much that will help so salad is best grown either in the spring or again as a second crop in the fall. You might also want to consider growing some specialty greens. 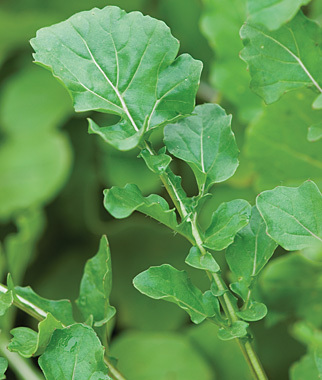 Arugula is a spicy green that goes very well with Italian dishes and adds nice flavour to a mixed green salad. 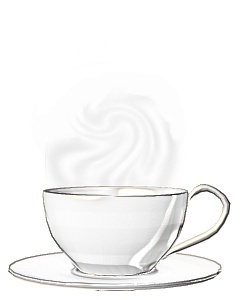 It also stands out as a rich source of many vitamins and minerals. 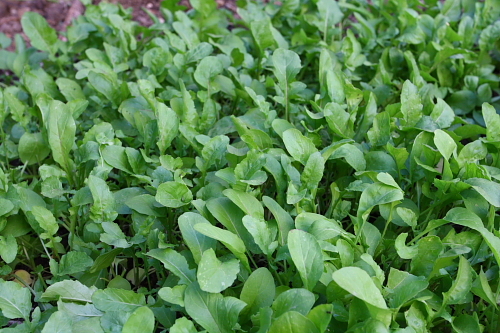 Compared to plain iceberg lettuce, Arugula contains about eight times the calcium, five times the vitamin A, vitamin C and vitamin K, and four times the iron. And unlike other leafy salad greens, arugula is classified as a cruciferous vegetable along with broccoli, cauliflower and cabbage, so if you don't particularly like these you can eat arugula instead and still benefit from the cancer protection they are known for. Then there is Mache. Long though of as just a weed, Mache also has a lot of great health benefits as well. Sometimes known as lamb's lettuce, corn salad, field salad, or field lettuce, Mache grows in rosettes or loose bunches. Each 4 oz serving will give you 2/2 mg of iron, 459 mg of potassium, 38 mg of calcium and 38 mg of vitamin C.
It is also considered a natural plant source of omega-3 fatty acids and 4 oz. will give you more than 250 mg of omega-3s. The omega-3s in mache help lower triglycerides and improve HDL (good) cholesterol levels, which reduce inflammation and help reduce the risk of cancer and heart disease. 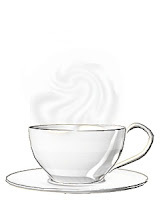 Mache also contains almost half of the recommended daily requirement of vitamin B9 (folic acid) at 160 mg per 4 oz. serving. Folic acid is highly recommended for women of childbearing age and is also believed to improve stress and reduce depression. All of this from a few green leaves! Here are a few videos for more specific growing information. 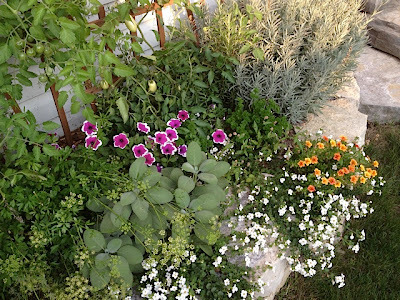 Now here is my mini garden that I grew this year to show just how easy it is to grow herbs, salad and tomatoes all together in a small space. My son made me this small bed just outside the back door, which makes it very convenient. 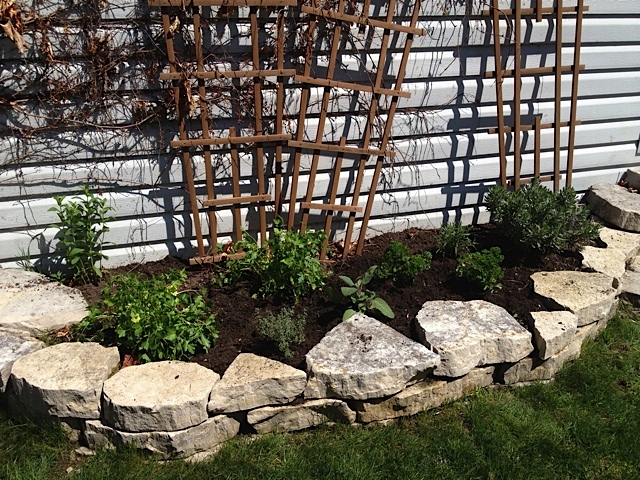 To start I bought a few herb plants at the nursery and planted those, leaving quite a bit of space in between. Both because the plants will grow larger, and also because I want to use that space to grow some salad. 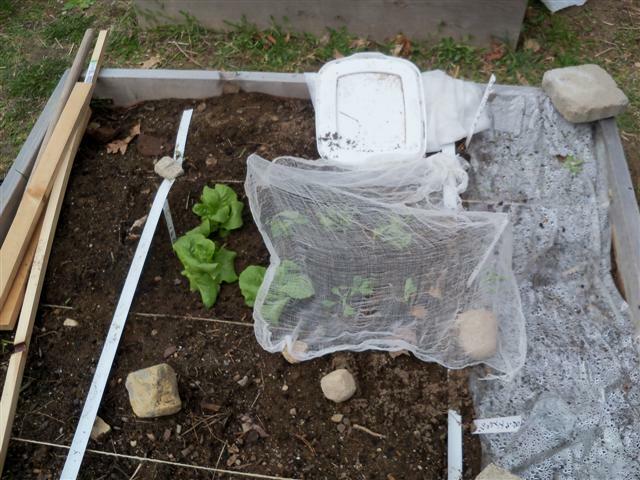 Once the frost date was well passed and it started to get hot, my salad all bolted, but then it was time for my next crop. I planted some climbing cherry tomatoes, and finished with a few trailing flowering plants to give my garden some colour. 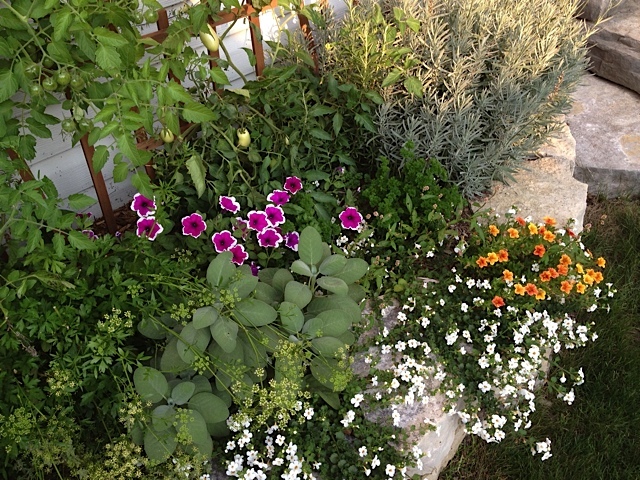 Meanwhile my herbs continued to grow. 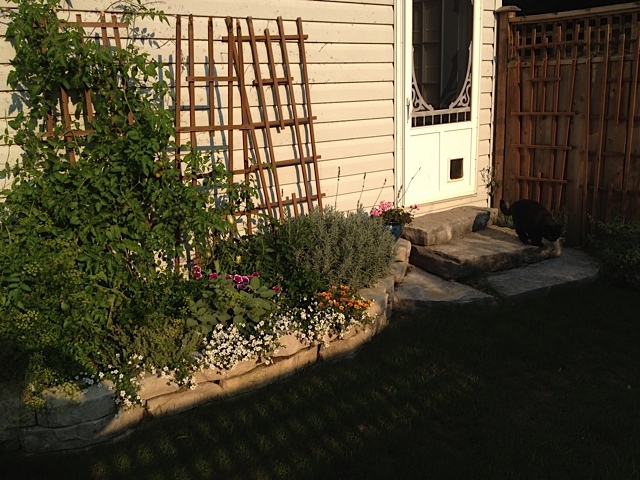 Now, in mid August, this is what my garden looks like. 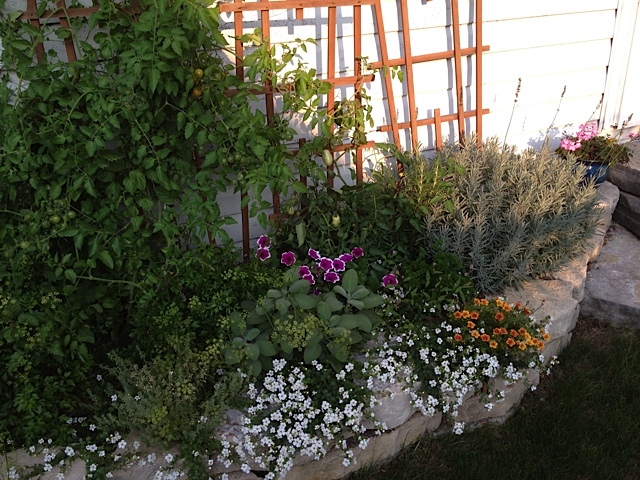 As you can see, my herbs are all big and bushy and I have lots of tomatoes. Once cherry tomatoes start ripening you can usually expect to harvest for several months until the first frost. And even then, if you pick the green ones and put them in a sunny window, you will have fresh tomatoes well into early winter. 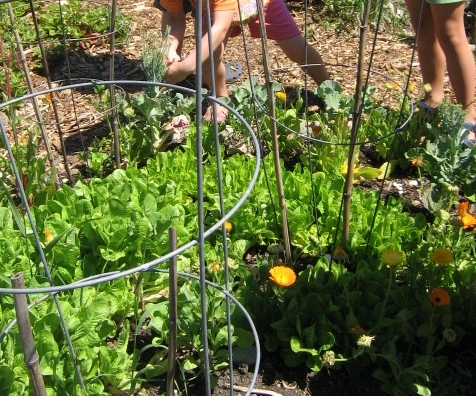 Growing a mixed herb, salad and tomato garden is a terrific way to get started with vegetable gardening and, considering you can get multiple servings from one plant or a handful of seed, it's also a great way to save money.